Turvalliset maksutavat, maksa vaikka laskulla tai osamaksulla ! TEE TILAUS BUSSI TAI POSTIENNAKKOLLA: LUE OHJEET TÄSTÄ ! 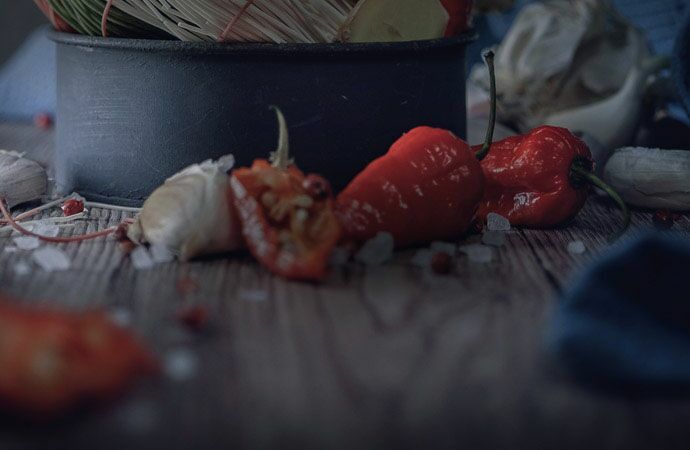 Vanhat käyttäjätunnukset toimivat uudessa kaupassa, mutta tilaathan uuden salasanan! Uusi myymälä avattu Ouluun Kaarnatie 22 ! 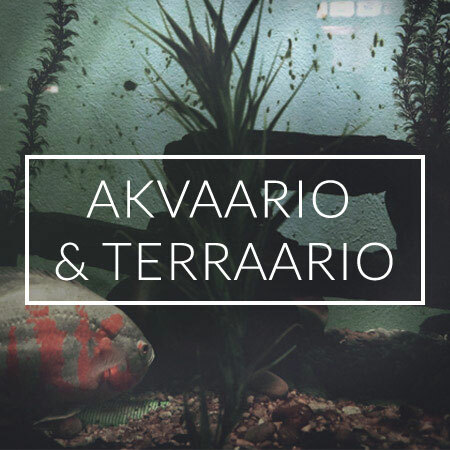 Hirvaskangas avoinna myös maananataina ja tiistaina kello 19.00 ! Narusta tehty tukiverkko, jossa 15,2x15,2cm aukot. Tukiverkon avulla saat kasvit pysymään helpommin pystyssä. Mukana tulee 4-erillistä koukkua, jotka voit laittaa esim 60x60cm alueelle tai max. 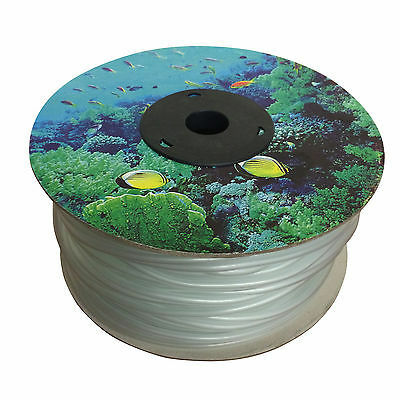 120x120cm.LightHouse StretchNet is made from the highest quality elasticised cord that is knotted into one piece of netting to give additional strength. 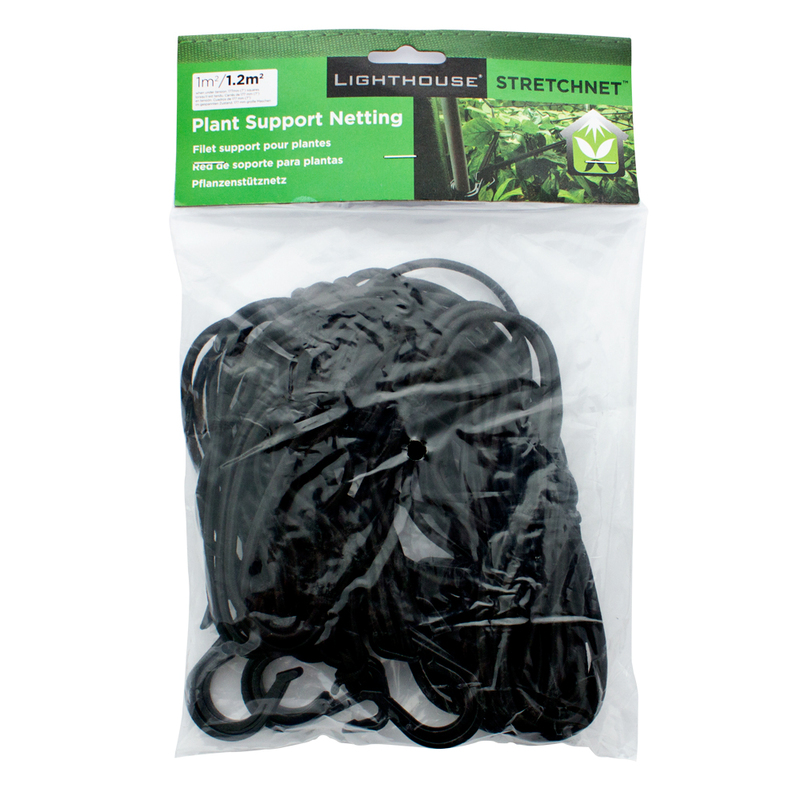 Simply attach the StretchNet to the poles of your tent at the desired height to give support to your growing plants. 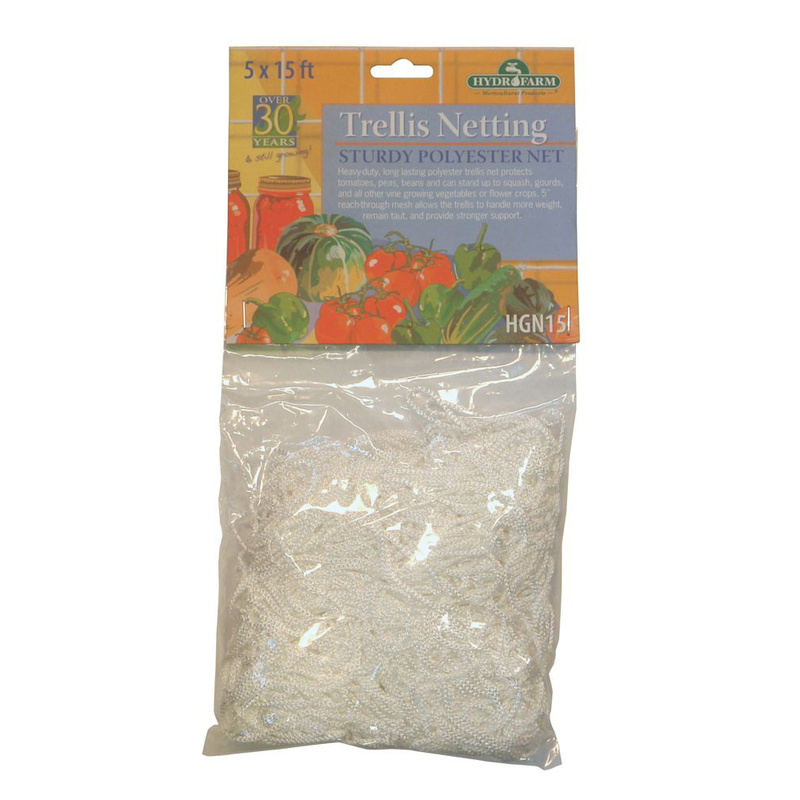 For best results - use 2 or 3 StretchNets per 2m high tent dependning on the height of your pot. 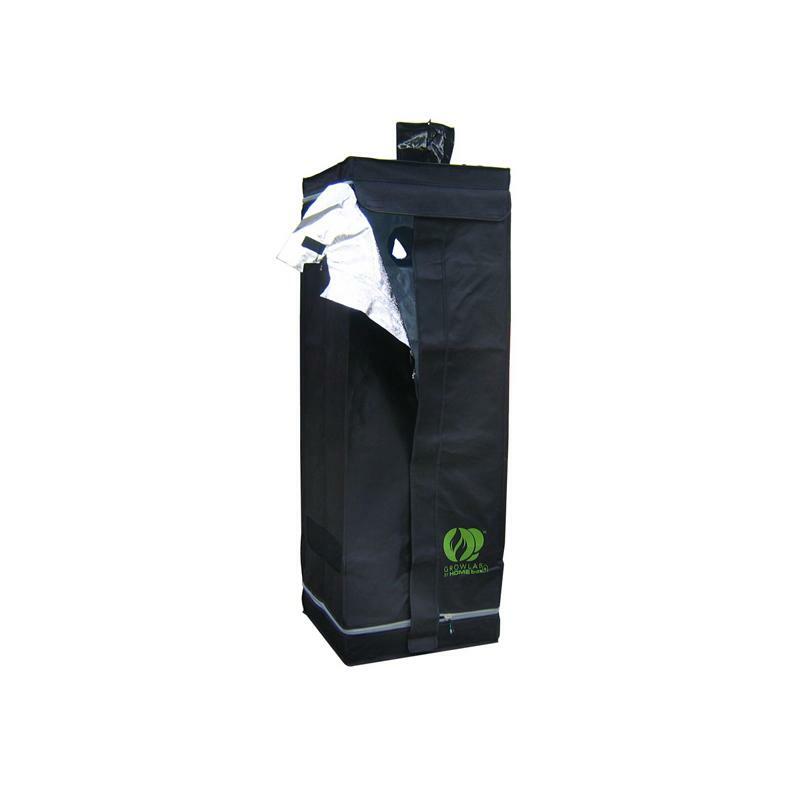 Size can be adapted and suitable for tents up to 1.2m2. 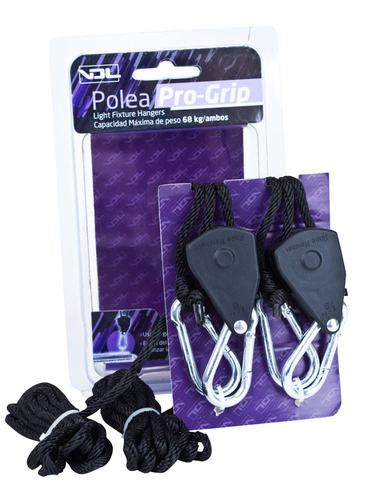 Hooks will fit poles up to 23mm diameter. 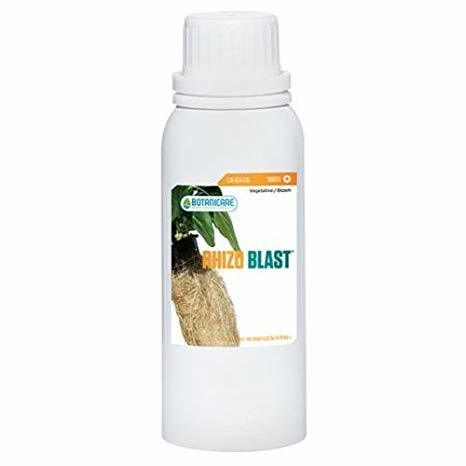 Promotes Explosive Root Growth and Development Rhizo Blast accelerates root growth by utilising a proprietary blend of seaweed, nutrients, minerals, and a magical ingredient called chlorella - a specially cultivated form of algae that comes with a massive list of benefits. Look after your roots with Rhizo Blast and you'll thank us come harvest time! 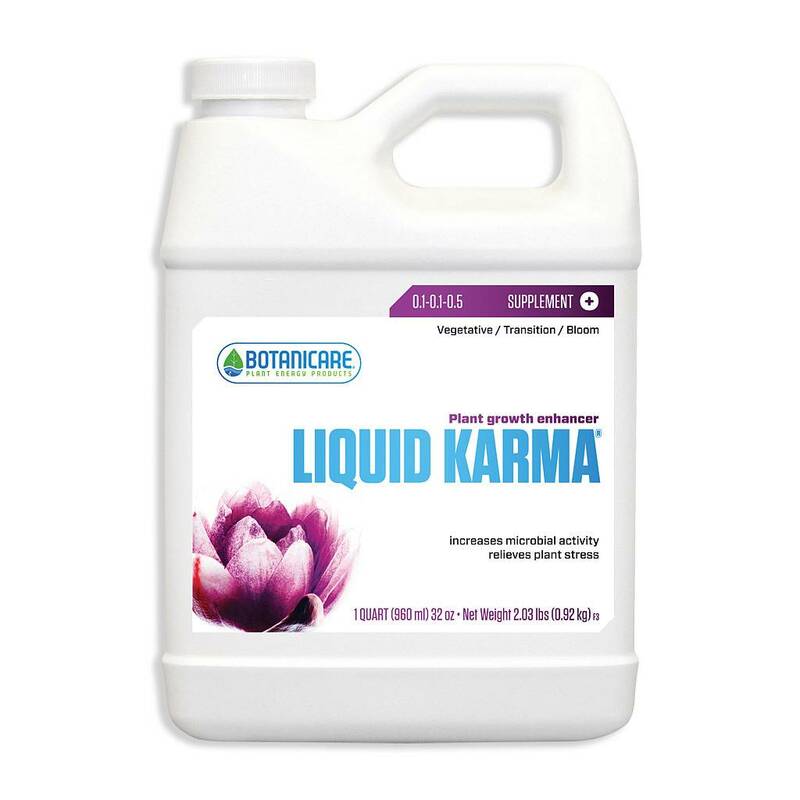 Botanicare - one of the most popular nutrients in the USA Promotes the development of vibrant, healthy roots Effective in any grow system or substrate Highly soluble - won't leave residues or block up your system, including aeroponics Shortens the turnaround time for the vegetative stages Stronger roots mean healthier plants and bigger crops Helps to protect against root diseases like pythiumRavinnetaulukko, klikkaa tästä ! 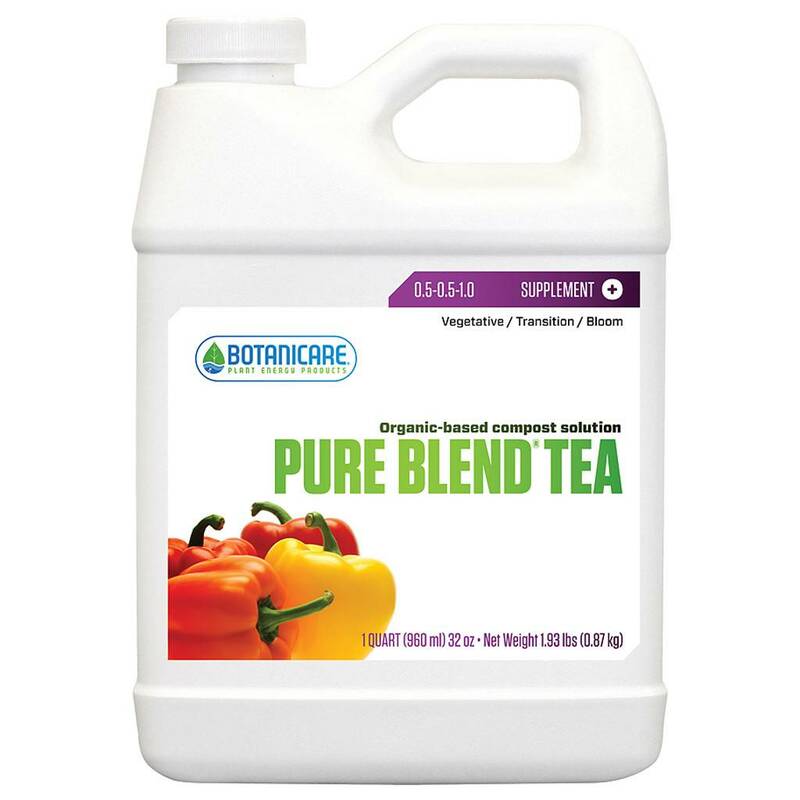 Botanicare® Pure Blend Tea® (0.5-0.5-1) is an organic-based compost solution containing all the major and secondary components essential for maximizing flavors and aromas in crops. Pure Blend Tea is enhanced and fortified with a premium blend of ultra-soluble humates, enzymes, trace minerals, vitamins, select amino acids, fulvic acid and carbohydrates. 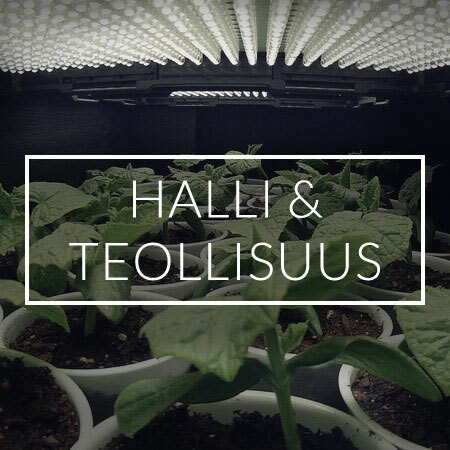 It encourages beneficial microbes to thrive in grow substrates and soils, converting organic elements into usable plant energy and increasing plant biomass.Ravinnetaulukko lataa tästä ! 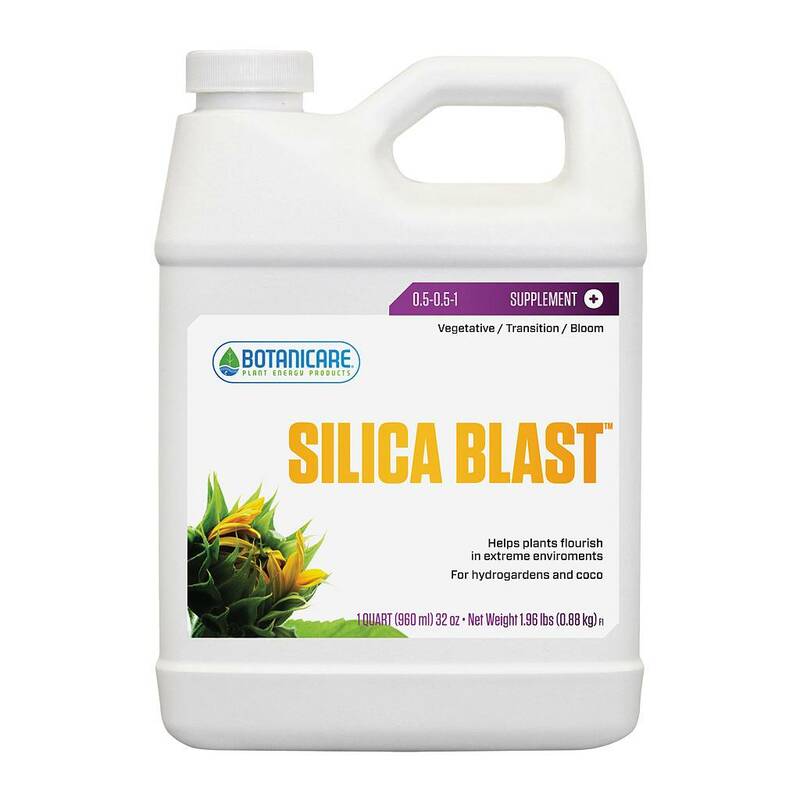 Botanicare® Silica Blast (0-0-0.5) nutrient supplement encourages plant tissue development and increases stem and stalk strength to enhance yields. Silica Blast lessens the effects of harsh conditions like drought and frost.Ravinnetaulukko lataa tästä ! This OMRI listed root inoculant uses a highly active strain of bacillus that rapidly colonizes and protects the rhizosphere against pathogenic bacteria, amplifying root mass, and improving root vigor. Hydroguard contains a unique beneficial bacteria, Bacillus Amyloliquefaciens, selected specifically for its superior ability to enhance the symbiotic relationship between the roots and their surrounding medium. These specialized rhizobacteria, assist in the breakdown of organic materials, and increase nutrient availability. During the plant’s most intense growth phases (i.e. transplant, transition, and heavy flowering), the demand for certain nutrients and essential trace elements increase and change frequently. To reach their full potential, plants require highly available forms of nutrition made available through microbial mechanisms. 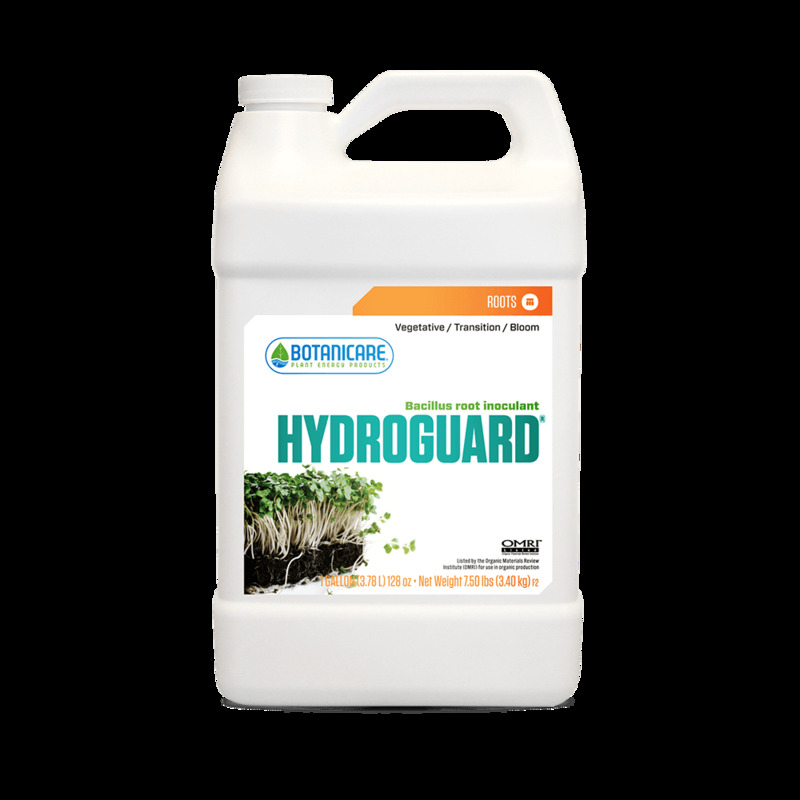 Although plants generate some of these microbes on their own, supplementing with Hydroguard significantly increases and accelerates these mechanisms. 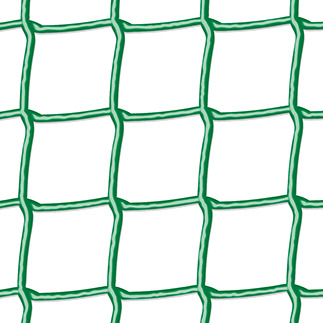 There are three mechanisms that allow the BA in Hydroguard to dominate the space they occupy. One: Endospores of B-A sense pathogenic fungi and bacteria in the root zone and begin to multiply, outcompeting other bacteria for space. Two: If that doesn’t work this mass of Spores begin to consume food sources around them, starving competing bacteria. And three: As a last resort the bacteria can release a number of antibiotics that specifically target the competition Using Hydroguard as a foliar application early in a plant’s life cycle produces a similar effect on leaf tissue. 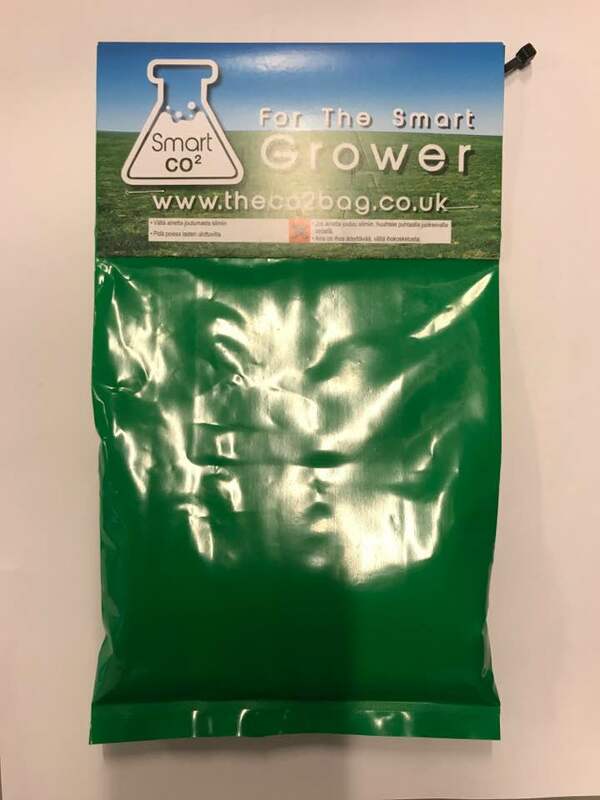 GUARANTEED ANALYSIS CBacillus amyloliquefaciens 0.038% contains a minimum of 1.00×10^4 cfu’s / ml USAGE APPLICATION Use with every watering during your entire growth cycle. Shake well before each use and never mix concentrates. Always allow nutrient solutions to mix well before adjusting pH. 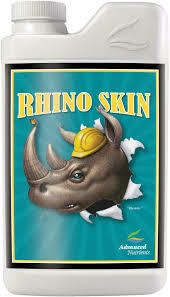 Use 2ml per gallon.Ravinnetaulukko lataa tästä ! 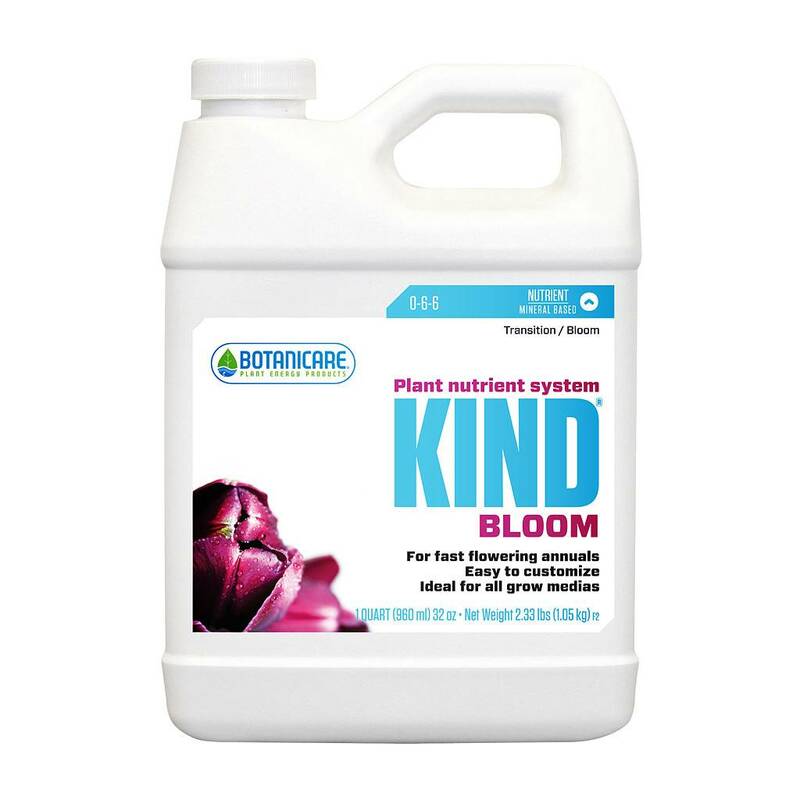 Developed specifically for fast-growing annuals, Botanicare® KIND Bloom (0-6-6) is formulated with an optimal phosphorus to potassium ratio to encourage healthy branch and stalk development, accelerate flower sets and maximize crop yields. This ideal ratio provides higher potassium levels to increase biomass while amplified phosphorus levels promote flower initiation. KIND Bloom also contains an elevated level of magnesium which increases photosynthetic efficiency—critical for achieving optimum yields in accelerated growth environments.Ravinnetaulukko klikkaa tästä ! Botanicare® KIND Base (4-0-0 + 5% Calcium) uniquely contains calcium without trace minerals, magnesium or sulfur. Because all of the trace minerals exist in the KIND Grow and Bloom formulas, growers can effortlessly customize their calcium and nitrogen levels without affecting the balance of these essential elements. This revolutionary formula is designed to allow for maximum versatility throughout the grow cycle. When using coco coir or reverse osmosis water, simply increase the amount of Base to increase calcium levels. When using clay pebbles or rockwool, or with hard water where less calcium is needed, reduce the amount of Base used. Manipulating the level of KIND Base precisely controls the levels of both calcium and nitrogen to meetspecific needs.Ravinnetaulukko klikkaa tästä ! 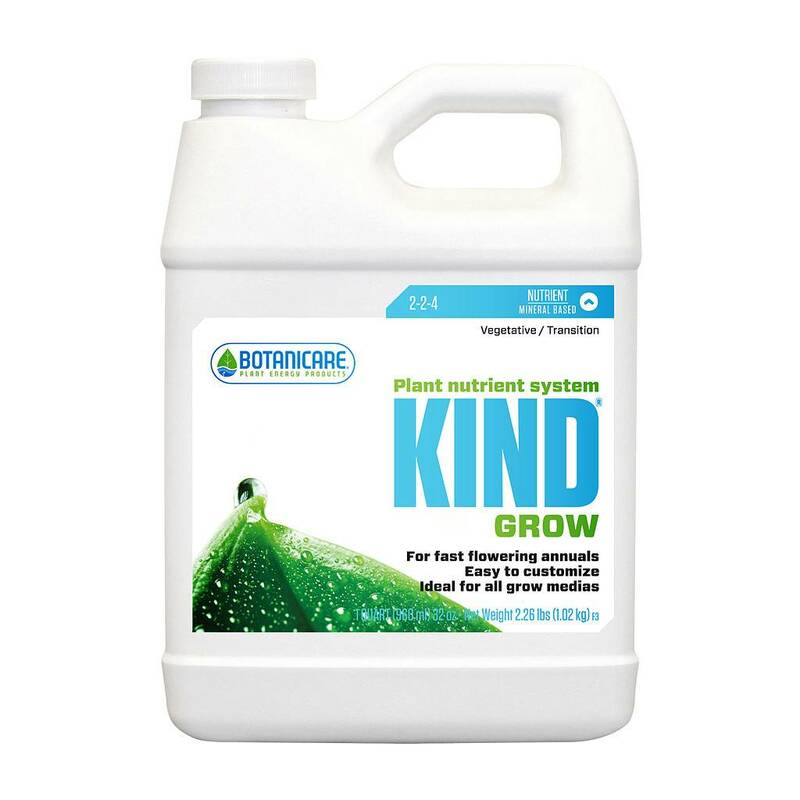 Botanicare® KIND Grow (2-2-4) provides powerful minerals enhanced with a proprietary blend of all natural ingredients to maximize root growth and sustain a lush, healthy canopy. The combination of KIND Base and Grow provides the ideal nitrogen to potassium ratio for fast-flowering annuals. 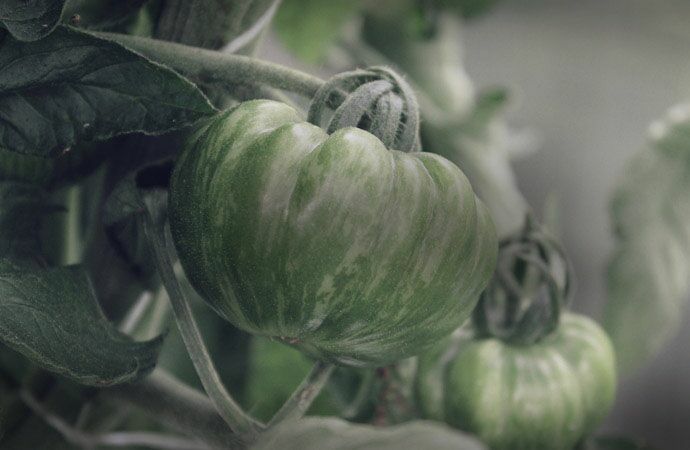 KIND Grow is designed for the vegetative cycle, but can be combined with KIND Bloom formula to meet the precise demands of plants in any media, at any stage.Ravinnetaulukko klikkaa tästä ! KIND® is manufactured in small batches, completely dye free, and runs clean with low salt build up. A fusion of science and nature, KIND is the most technologically advanced hydroponic nutrient available today. KIND was created with specific N-P-K ratios that were optimized to allow 100% customization. 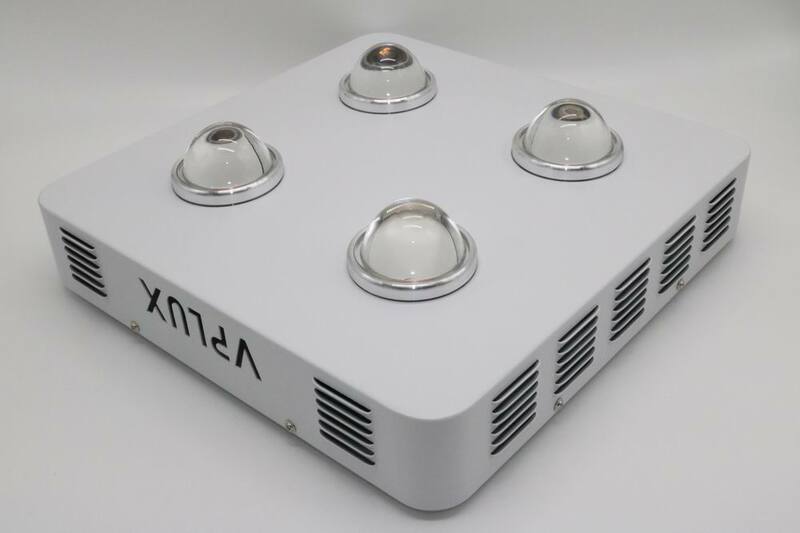 This allows the user to adapt to the specific needs of any grow media, at any stage, while maintaining the ideal balance for optimum plant growth. 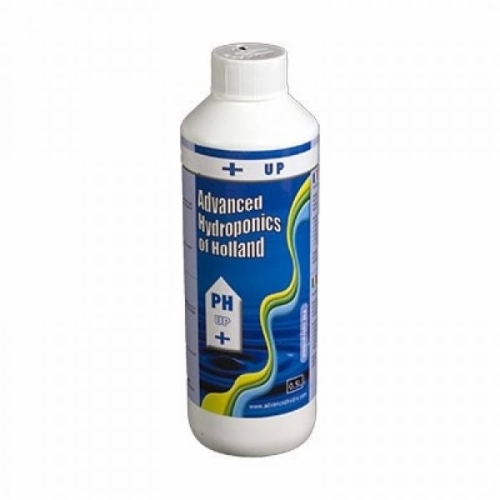 The proprietary KIND formulas eliminate the need for separate calcium and magnesium supplementation to compensate for water quality or specific grow medias. This level of control is ground breaking and allows you to maximize growth for any plant, in any environment, no matter what KIND you grow. 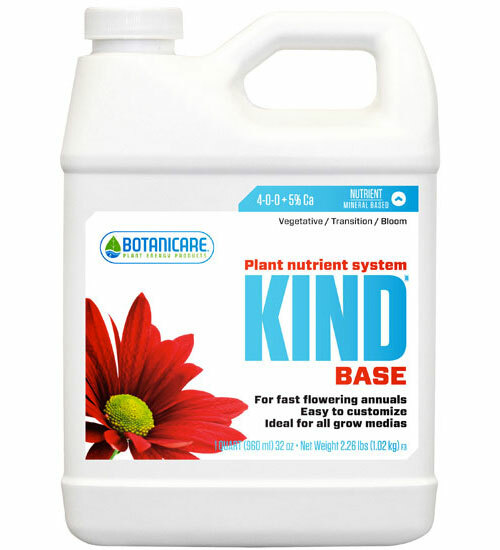 KIND BASE 4-0-0 + 5% Calcium KIND Base is unique because it contains all of calcium without trace minerals, magnesium, or sulfur. By including all of the trace minerals in the Grow and Bloom formulas growers can effortlessly customize their calcium and nitrogen levels without affecting the balance of these essential elements. This revolutionary formula was designed to allow for maximum versatility throughout the grow cycle. Using Coco Coir or Reverse Osmosis water? Simply increase the base to increase your calcium levels. 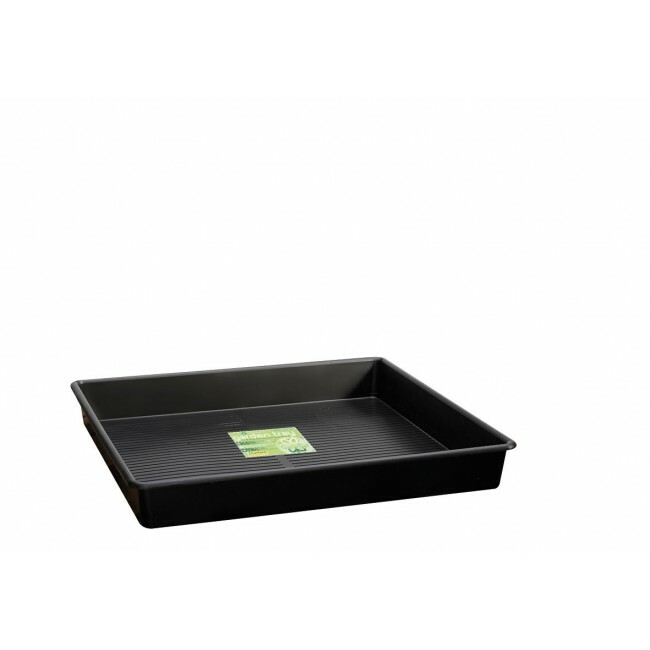 KIND is ideal for Coco Coir based media, RO Water, and plant types that require high levels of calcium and nitrogen. 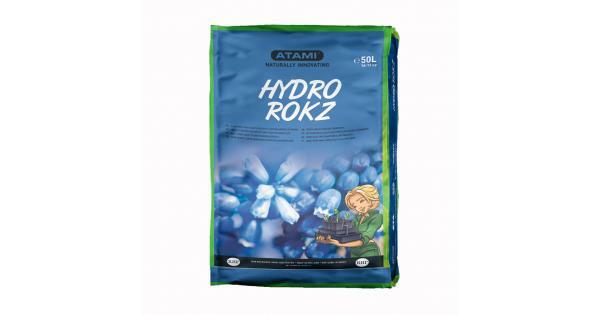 Using Clay Pebbles, Rockwool or have hard water where less calcium is needed? It’s as easy as reducing the amount of base you use. Simply manipulating the level of KIND Base allows you to precisely control the levels of both calcium and nitrogen to meet the specific needs of whatever Kind you grow. 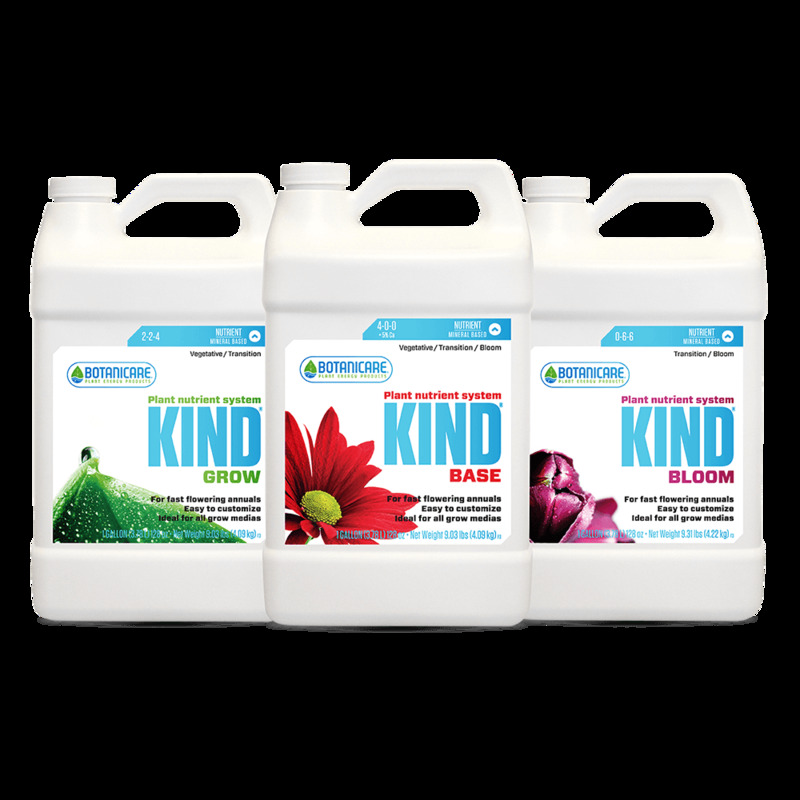 KIND GROW 2-2-4 KIND Grow provides powerful minerals enhanced with a proprietary blend of all natural ingredients to maximize root growth, and sustain a lush healthy canopy. The combination of KIND Base and Grow provides the ideal nitrogen to potassium ratios for fast flowering annuals. 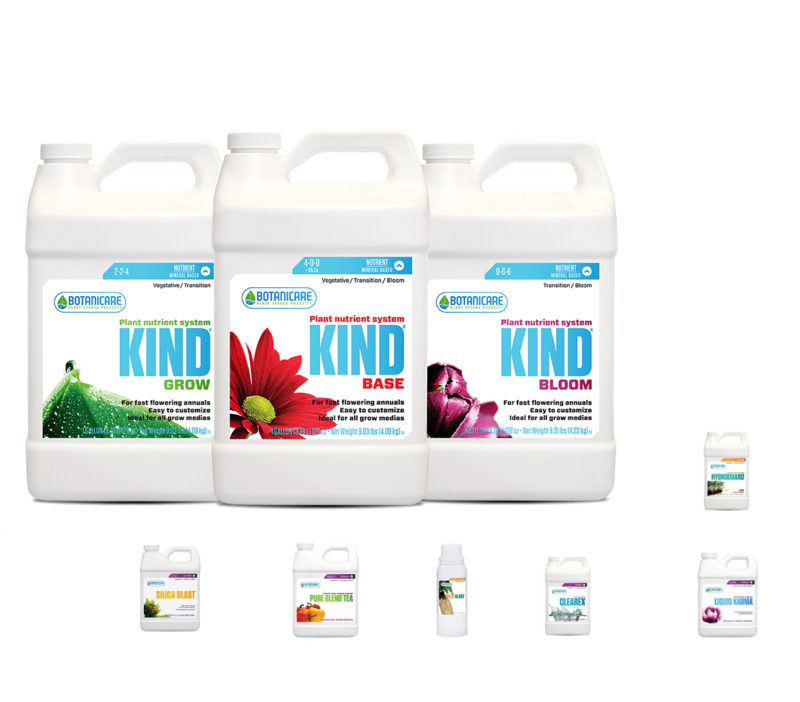 KIND Grow is designed for the vegetative period of the growth cycle, but can be combined with KIND Bloom formula to meet the precise demands of your plant in any media, at any stage. This level of control is ground breaking and encourages maximum growth for any plant, in any environment, no matter what Kind you grow. KIND BLOOM 0-6-6 Kind Bloom was formulated with an optimal phosphorous to potassium ratio to encourage healthy branch and stalk development, accelerate flower sets, and maximize crop yields. This ideal ratio provides higher potassium levels to increase biomass while amplified phosphorous levels promote flower initiation. KIND Bloom also includes an elevated level of magnesium which increases photosynthetic efficiency; critical for achieving optimum yields in accelerated growth environments. KIND Bloom was developed specifically for fast growing annuals. 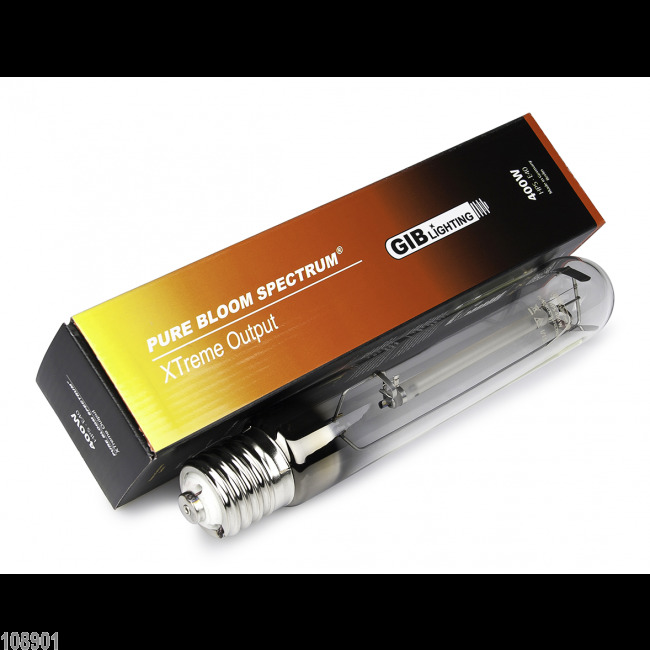 KIND Bloom allows you the ability to increase the amount of potassium and phosphorous during peak flowering and ripening phases without additional boosters. Adjusting these ratios promotes maximum fruit swelling, yield, and quality. This is easily accomplished by simply increasing the Bloom, and lowering KIND Base which limits the amount of nitrogen available without compromising trace minerals or magnesium. KIND Bloom provides the complete nutrition your plants require to maximize both yield and quality. No matter what Kind you grow, or what you grow in- KIND is the last nutrient you will ever need. 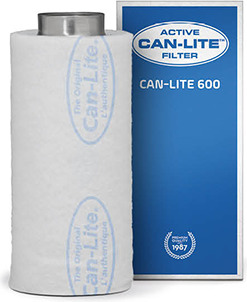 -Enhanced calcium, magnesium and sulfur levels, specifically designed for fast blooming annuals -Effortlessly customizable. -KIND’s unique formulation is easy to customize for specific plant needs, growth cycles, and grow medias.Ravinnetaulukko klikkaa tästä ! 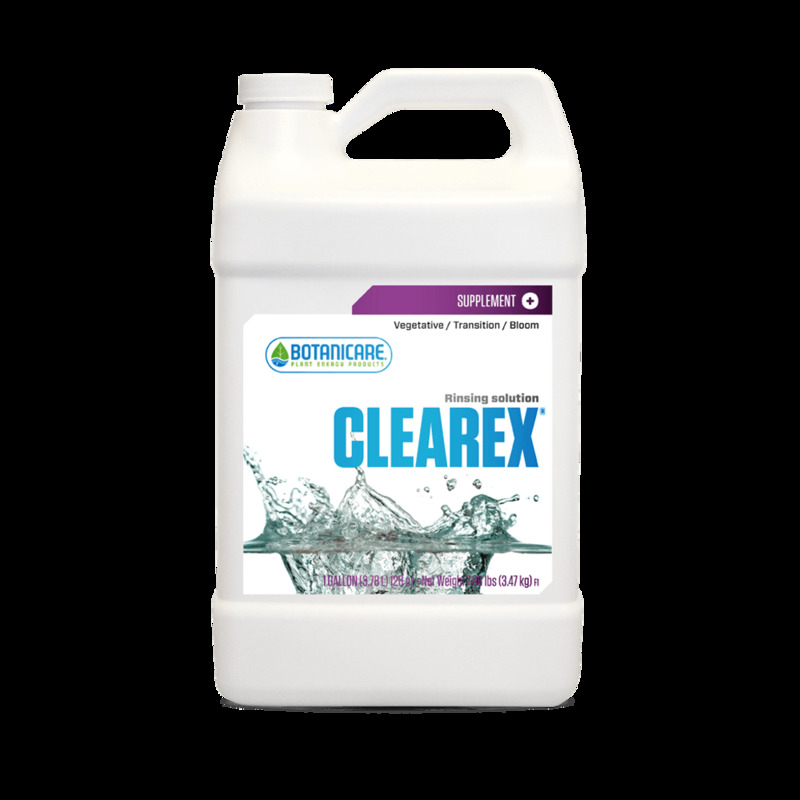 Botanicare® Clearex is a scientifically formulated isotonic drench solution that works by binding with excess nutrient salts and safely leaching them from growing media. Clearex creates a safe osmotic environment, preventing problems often caused by other leaching methods. Recommended for use in hydroponic systems and container gardens.Annostusohje, klikkaa tästä ! Grow Sensation gives a sensational growth boost This growth booster ensures an explosive growth in crops during the vegetative period.The composition is sophisticated to the provision of all the elements so that the plant can grow uninhibited from the moment that so many leaf has arisen that a positive photosynthesis occurs. This gives your crop such a good start, it will develop an excellent base that can lead to a very good harvest. Grow sensation is very suitable for use in culture methods in which the vegetative period is kept short.For crops with a longer vegetative period, grow sensation will also provide surprising results. 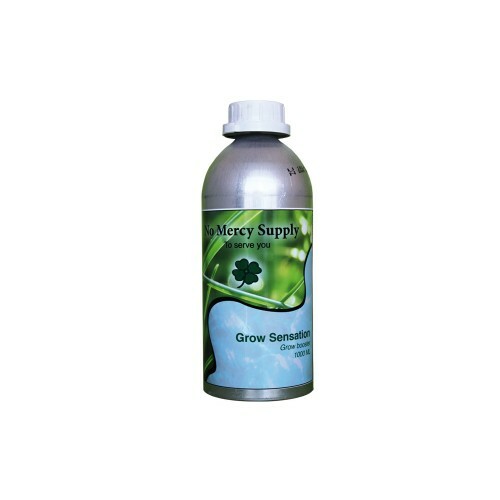 Use Grow Sensation in a 1:2000 ratio, 50ml to 100 liters. 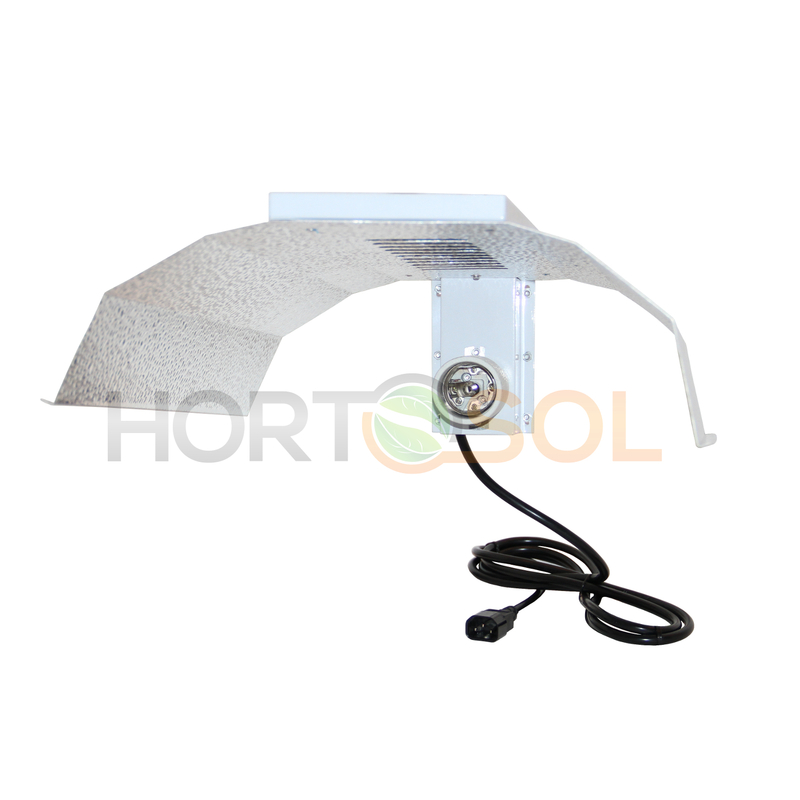 After adding the Grow Sensation, adjust the EC to the desired level with the base fertilizer. After that adjust the pH to the optimum value for the crop. 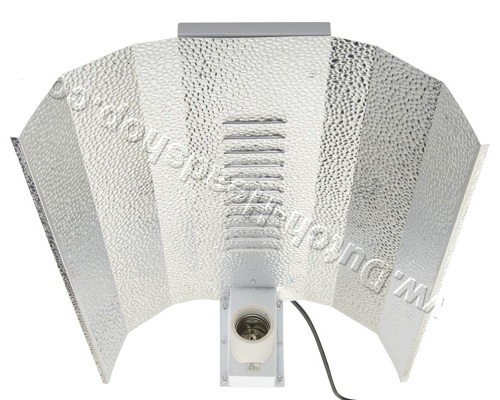 When the flowering and fruiting begins, stop using Grow Sensation. When using a system which reuse drain water, the content of the system needs to be refreshed. Use of Grow sensation during flowering and fruit formation, will result in continued stretching of the nodes, which is not desirable.It is recommended after using Grow Sensation, to use our Bloom Sensation. So the conditions for the plant will be optimal, to achieve the most extreme result. For a sensational flowering and fruit development This flowering booster provides an extra exuberant flowering and fruit development in flowers and fruit crops. 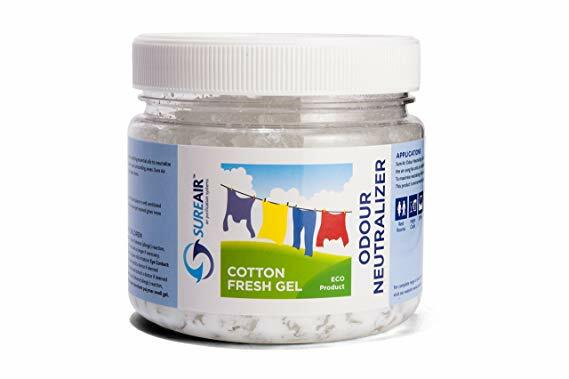 The composition provides a directly absorbable form to the plant of the elements phosphorus and potassium, wherein a number of trace elements have been added in the proper ratio in order to facilitate the extra exuberant development. Use bloom sensation in the ratio 1:1000 in the gift water. First add the bloom sensation, then adjust the EC level with the basic fertilizer used. 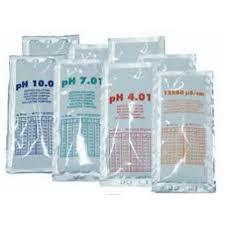 After that, adjust the pH to the optimum value for the crop.The use of the Bloom Sensation can start from the first phase of flowering / fruit development. 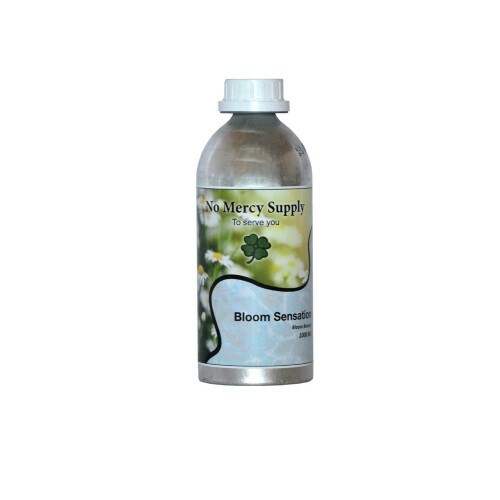 Bloom Sensation has a positive effect on the dry matter content and thereby also the taste of the final product. So more flowers and fruits, more weight and a refined taste.For every grower a win/win situation! 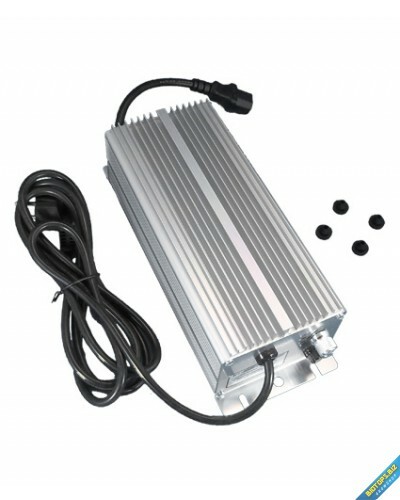 Tästä kunnon kasvivalaisin viimeisen päälle, paketti sisältää seuraavat tuotteet: Lumatek CMH 630W DE-polttimo Power Voltage: 240V 50Hz Lamp Power (W): 630 Lamp Current (A): 3.2 Rated Life (H): 14000 CCT(K): 3100K Agro Luminous Flux (lm): 77600 (3K) Luminous Efficiency (lm/W): 123 3K PAR (micromols/sec): 1268 3K Bulb: T32.5 Base: K12x30s (Double Ended) Double Jacketed explosion proof rated for open reflector Lumatek CMH 630W Virtalähde, (ei himmenystä) 5v takuu. SunSystem DE heijastin, erittäin laadukas. Huom ! Asiakkaan on leikattava virtajohdon IEC-liitin ja kytkettävä johdot itse mukana tulevilla sähköliittimillä. Kanavapuhallin muovinen 250m3/h 100mm S-vent BK100 "käytetty"
Käytetty n. 1000h, täysin toimiva.Laadukas muovinen kanavapuhallin. Kanavapuhaltimilla on useita käyttötarkoituksia julkisissa tiloissa, teollisuudessa ja toimistoissa. 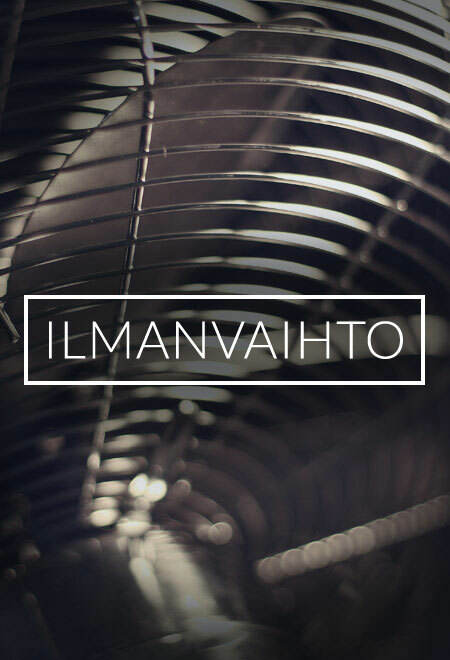 Useita eri malli vaihtoehtoja saatavilla, termostaatilla, kierroksensäätimellä ja äänivaimennettuja malleja saatavilla. Ei sisällä virtajohtoa.IP44 suojausluokitus.Muovirunkoinen puhallin, lukuunottamatta BS150 (metallinen)ApplicationsVK fans are applied for supply and exhaust ventilation systems of commercial, office and other premises. 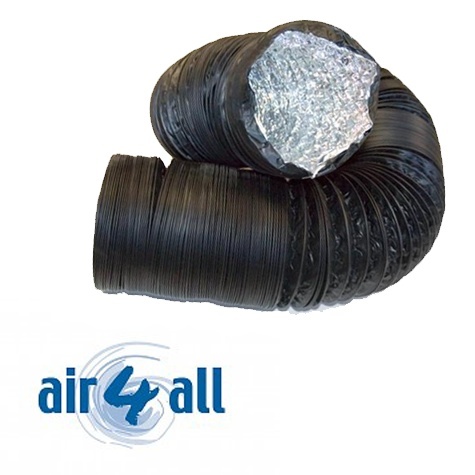 Compatible with Ã˜ 100, 125, 150, 200, 250 and 315 mm round air ducts. 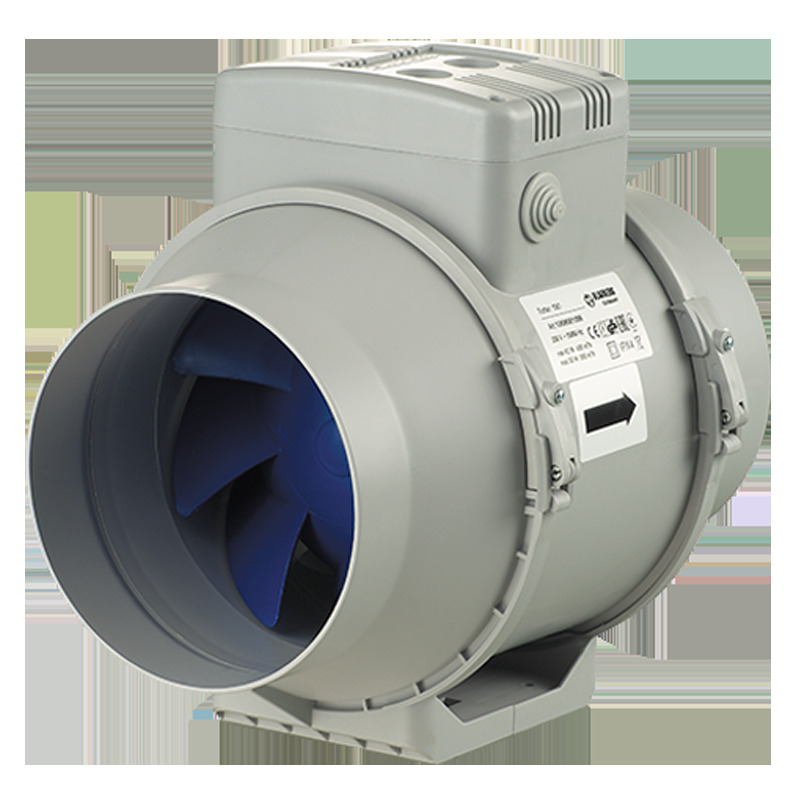 Models marked VK...Q are supplied with quiet motors for low-noise applications. 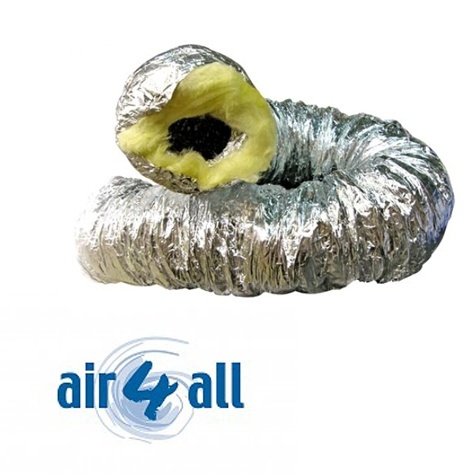 Due to the corrosion-resistant durable plastic casing, these models are the perfect solution for the installation in exhaust ventilation systems in humid premises such as bathrooms, kitchens etc.DesignThe casing is made of high-quality durable ABS plastic. 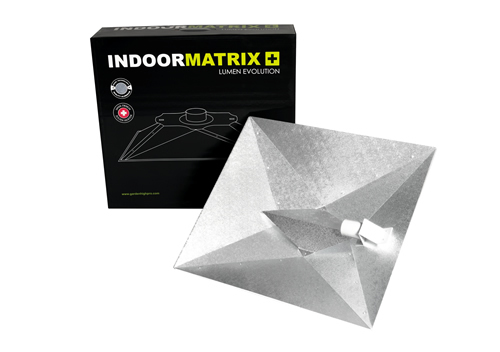 The fans are equipped with waterproof terminal boxes. Models marked VK..R are supplied with the power cord and a plug.MotorThe impeller with backward curved blades is powered by a single-phase asynchronous AC motor with external rotor including the following features:A dynamic balanced impeller with backward curved blades balanced in two planes.Overheating protection with automatic restart.Maintenance-free ball-bearings used with motors and designed for at least 40 000 hours operation. Models marked VKS are supplied with high-powered motors. Motor protection rating IP 44. SpNa-Polttimo Pure Bloom Spectrum 400W E40 "asiakaspalautus"
Asiakaspalautuksena tullut, testattu ja täysin uusi, sekä toimiva. GIB Lighting uutuus Pure Bloom on todellinen kukituspolttimo vertaansa vailla.From the XTreme Output series comes a new significantly improved discharge lamp designed and produced 100% in Germany, offering the highest standard of quality.With 56,000 lumens and over 740 PAR it offers unparalleled light output. 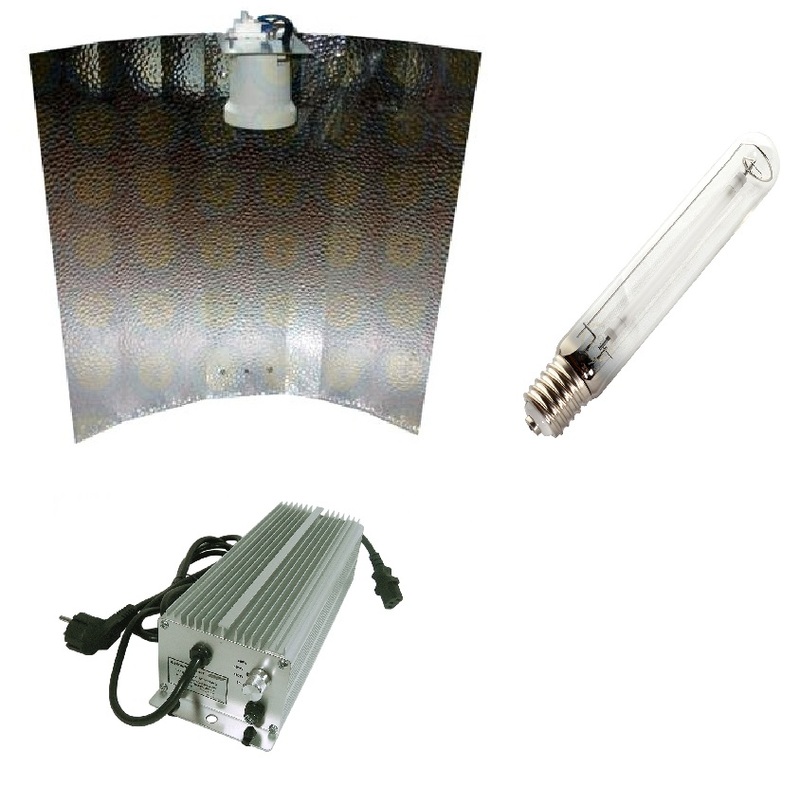 The Red spectral range has been maximised, the Blue spectral range minimised €“ as a result the light from this lamp is particularly suitable for plant flowering and fruiting, more than any other to stimulate and increase the yield.Tekniset tiedot 400WLumen 56000PAR-teho 740Käyttöikä 12000 hKanta E40Huom !Polttimo toimii ainoastaan VP-Lux:in myymissä digitaalisissa ja magneetti virtalähteissä.Emme ota vastuuta jos polttimo ei toimi muiden valmistajien virtalähteissä. 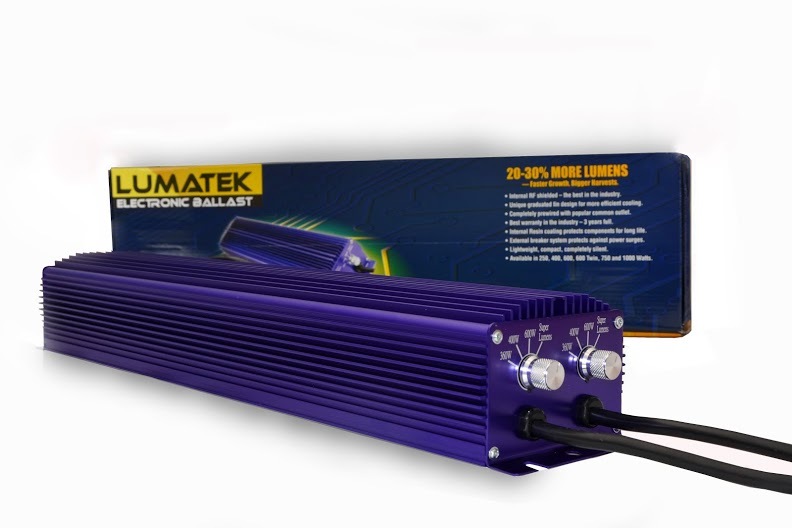 Heijastin E40 Matrix Lumen Evolution "käytetty"
SpNa-polttimo Sunmaster Dual Spectrum 250W "käytetty"
Käytetty n.5000hSunmaster:in lamput ovat suosittuja kukitus/hedelmöitys polttimoita. Polttimoissa on korkea lumen tuotto ja ne ovat myös edullisia. 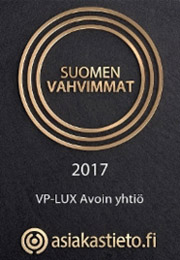 Mitä enemmän lumeneita sen enemmän satoa. 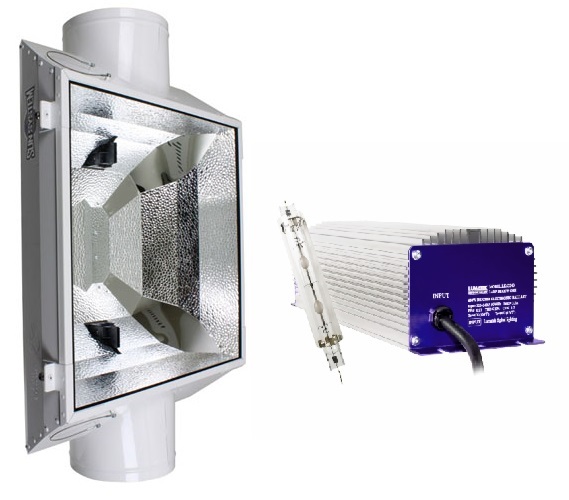 Sunmaster Dual lampuissa on optimaalinen määrä sinistä ja punaista aallonpituutta, jolloin ne käyvät kasvusta kukitukseen/hedelmöitykseen. 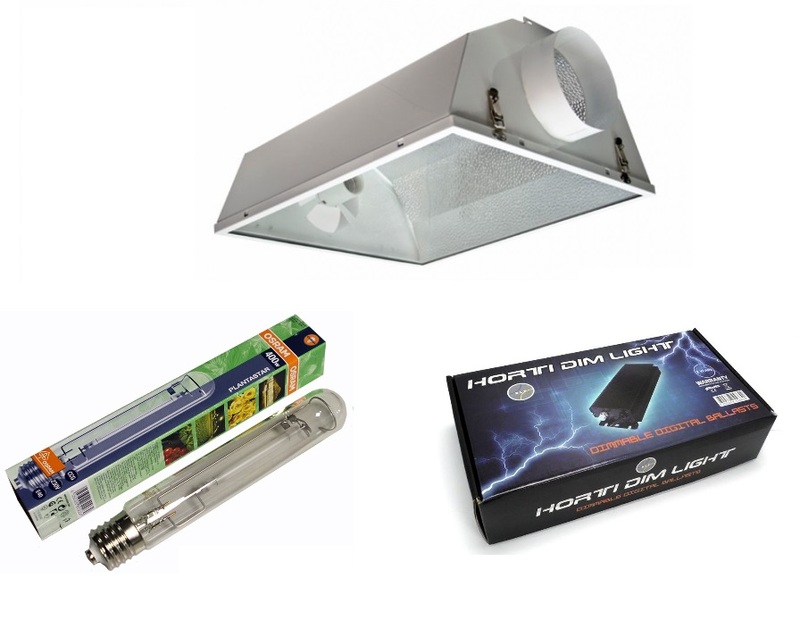 The Sunmaster range of HPS lamps have fast become our most popular high pressure sodium flowering/fruiting lamp. 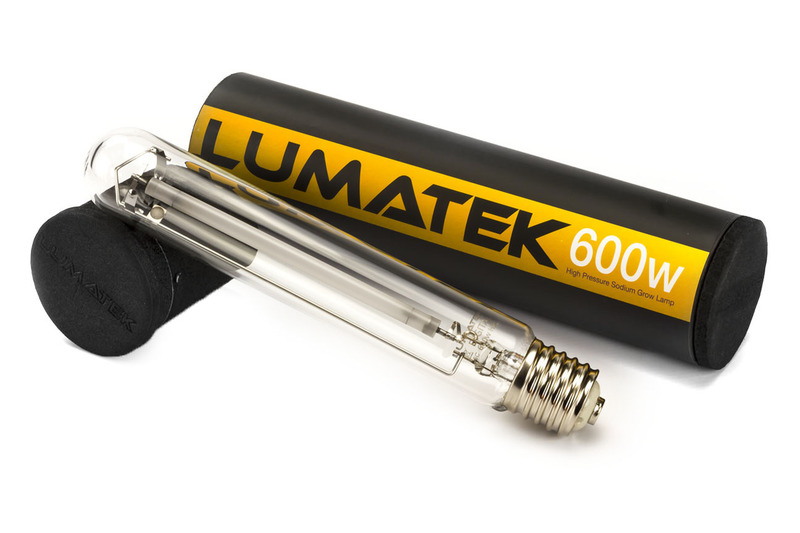 This is mainly due to they're higher than most lumen count, and very reasonable cost The Sunmaster range of Dual spectrum lamps has a higher Red and Blue spectrum output than most brand name HPS lamps, ideal for those using one lamp for both vegative and flowering. Taipuisaa muoviverkkoa. Todella hyvää esim. kasvien suojaamiseen ja tuentaan. 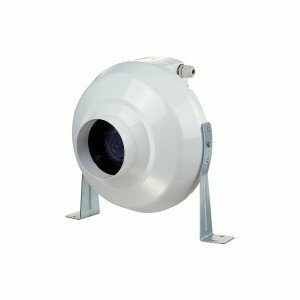 LED Kasvivalaisin Spider COB 360W "KÄYTETTY"
FloraBloom : Kasvuvaiheessa se parantaa juurten kehitystä ja hyvinvointia. Kukinnan ja hedelmien kasvun aikana se mahdollistaa kasvin tuomaan esiin kaiken potenttiaalisuutensa. Vesiviljelijät huomioikaa että FloraGro ja FloraBloom molemmat sisältävät silikaattia (silikaatti hapon muodossa) täydentämään ravinneohjelman ja vahvistamaan kasvisi rakennetta. Hailean ilmakivet ovat suosittuja kaikissa vesiviljelyjärjestelmissä.High quality air diffuser that helps to increase the oxygen content of all nutrient solutions. Simply attach to an Air Pump with a Silicon Airline (sold separately). 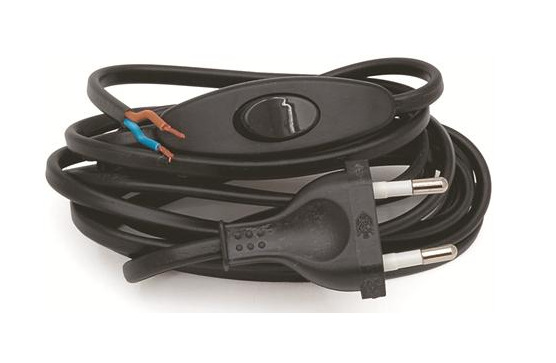 Recommended for all systems!4mm letkulle. 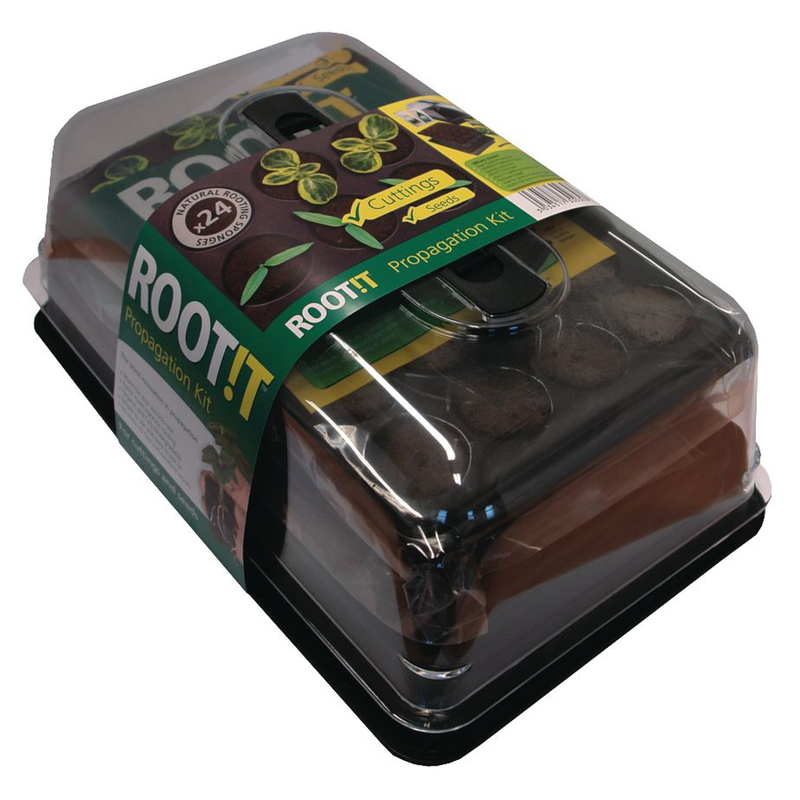 Once seeds or cuttings are rooted in a propagation cube, transplant them to a Grodan Delta cube. 3” and 4” cubes are ideal for use in NFT, slab culture, dripper or Ebb & Flood systems. 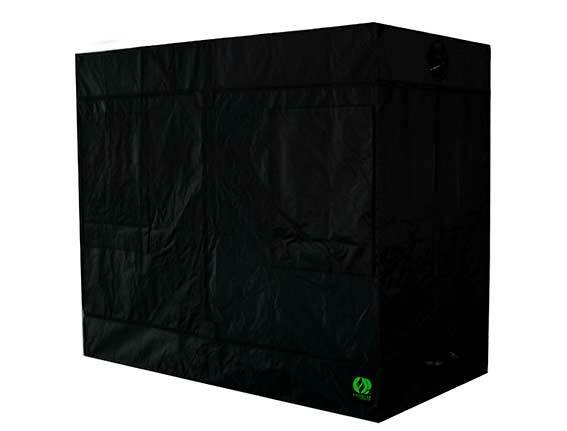 6” Hugo cube can be used for deep Ebb & Flood tables or passive pot culture.Remove the plastic sleeve before transplanting into a Nutriculture hydro system for increased oxygen to the root zone and accelerated growth.4” Large HoleDelta 6.5G 42/40 and 40/35 are compatible with SBS 36/77 propagation cubes. Box contains 216 cubes.The main difference between Polish and Dutch Grodan are as follows;• Polish Delta 4G and 6.5G Cubes have a slightly larger hole than the Dutch version, in order to accommodate the MM propagation cube.• Polish 25/150 and 36/77 SBS propagation cubes have a smaller hole than the Dutch version, in which to place the seed or cutting. Laadukkaasti käsintehtyä tehty maitosuklaata. 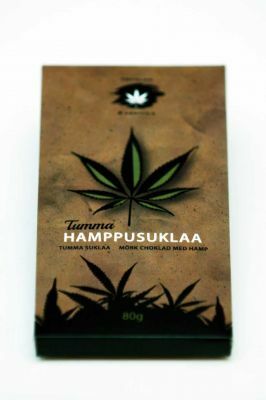 Suussa sulavan makea ja hampunrapea koostumus.Tuote sisältää 20% kokonaisia hampunsiemeniä. Suklaan valmistaja Kultasuklaa OYKuvausRavintoarvot:Energia: 2282kj / 545kcalProteiini: 10,8gHiilihydraatti: 48,4gRasva: 33,4gSuola: 0,17gAinesosat:Sokeri, täysmaitojauhe, kaakaovoi, kaakaomassa, öljyhampunsiemen (20%), emulgointiaine (soijalesitiini), vanilja. Saattaa sisältää jäämiä hasselpähkinästä.Säilytettävä kuivassa ja viileässä. Laadukas pumpattava ja paineistettava suihkepullo. Laadukas ja hiljainen vesipumppu.RP-400Tuotto: 400 l/h Nostokorkeus: 0,8 meterTeho: 5 wattVirtajohdon pituus: 1,50m13mm letkulle.